So orange, it might be mistaken for Vermilion or Bloodwood at first glance, but this Signature Deluxe bass is all Coco Bolo. What's unusual is the low-contrast grain, with a lighter orange background and darker orange grain lines that have little margins of violet here and there. 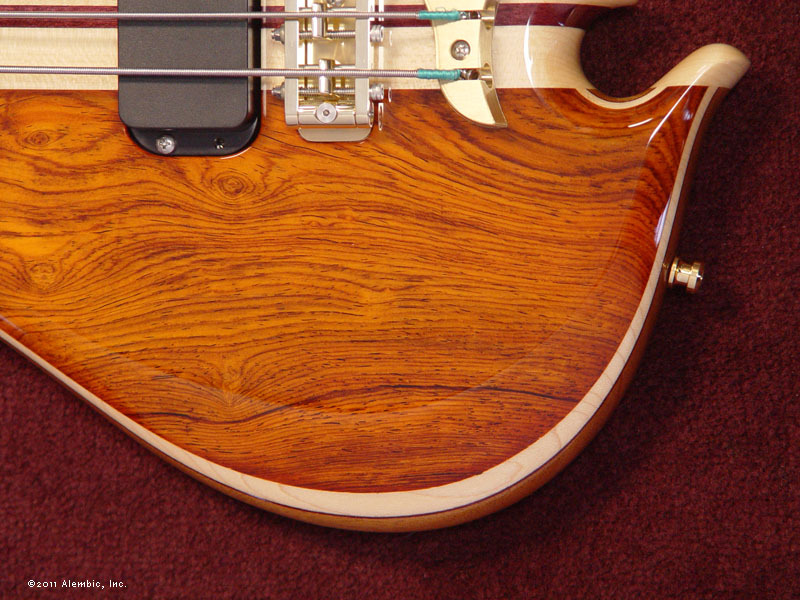 As on on-stage look, it's more akin to a solid finish, but close inspection reveals the beautiful patterns in the wood. 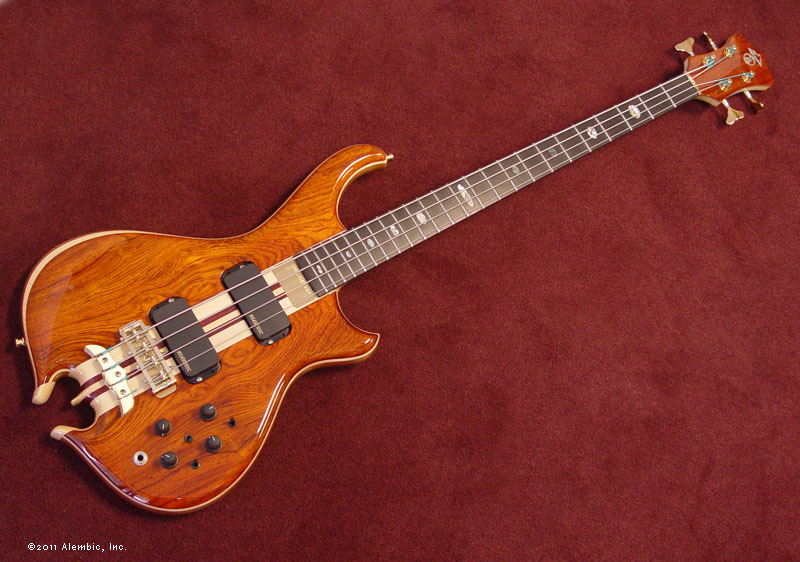 Great tone follows every Alembic bass, and this is no exception. 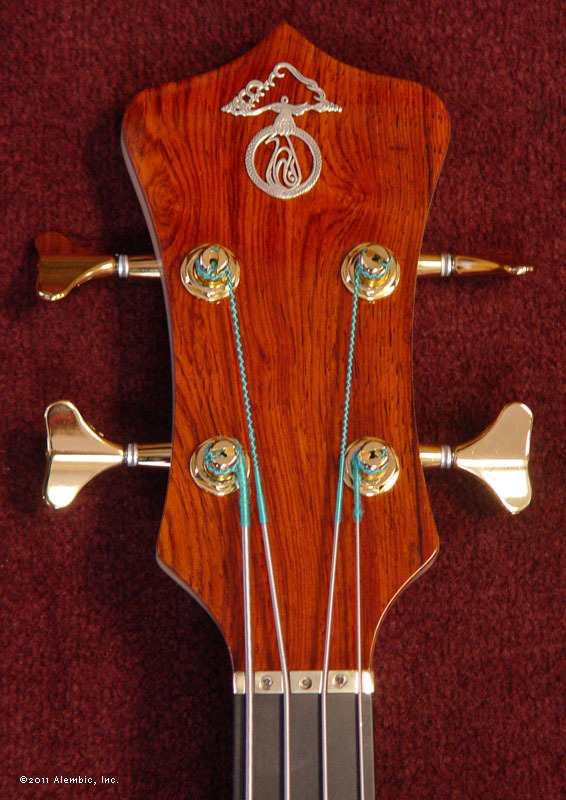 Excellent sustain with enough versatility to be comfortable in settings ranging from blues to slap. If things get too bright sounding, simply turn down the filter frequency controls. There's also an on/off switch for the side LEDs, which are oh so helpful when playing in low-light situations. 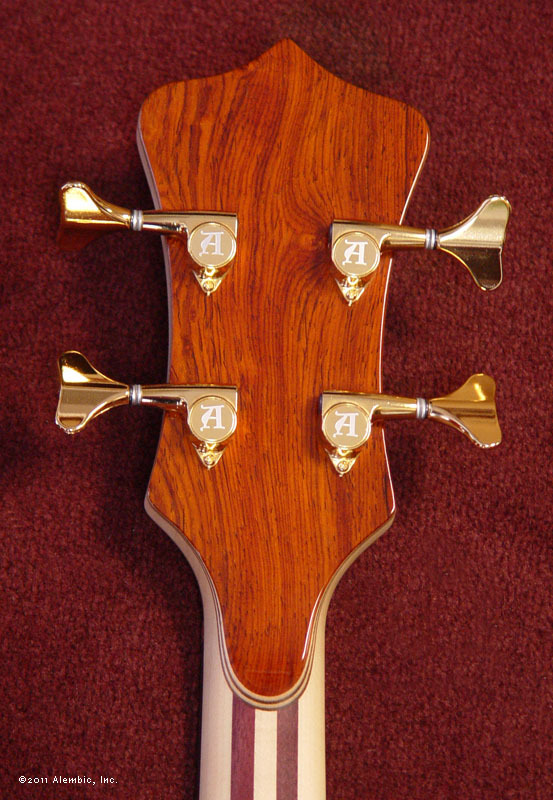 Our Balance K body has all the heritage of Alembic but with greatly reduced weight and improved balance. A nice little Heart Omega carving is so sweet at the bottom. This version also has tummy and elbow carving for even greater comfort. 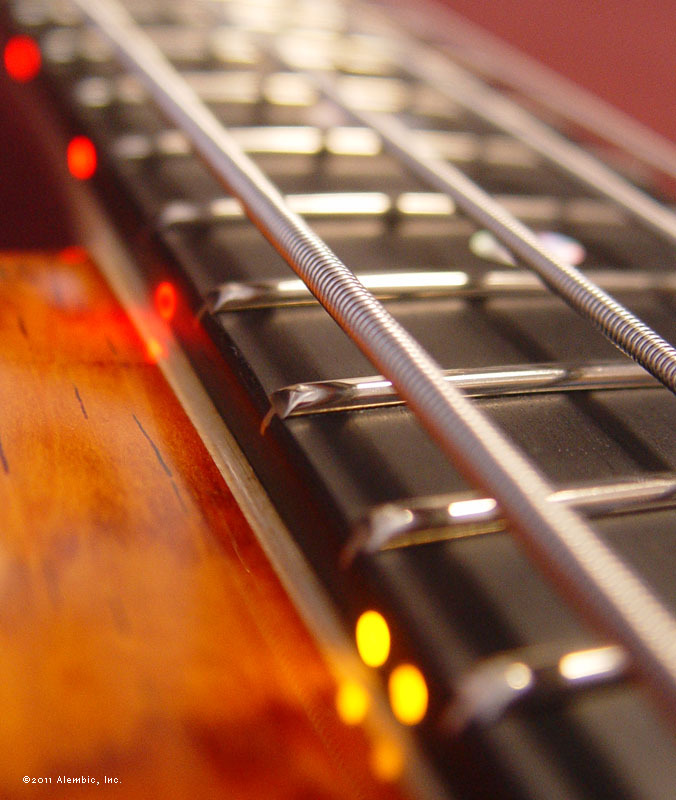 Such an easy bass to play, enhanced with a satin finish neck feel. 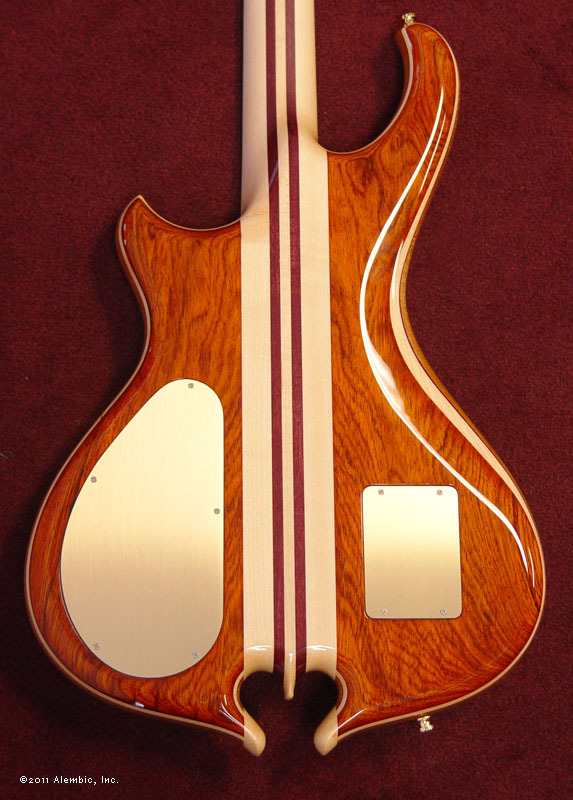 Sorry, this bass has sold.